H&C Heat Transfer Solutions Inc. is an engineering organization specializing in heat transfer applications. Our services are designed to provide heat transfer solutions to clients in the chemical, petrochemical and oil refining and gas industries. We also work in partnership with engineering firms and fabricators to provide heat transfer solutions to projects of all sizes. 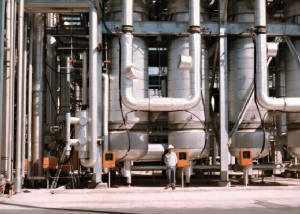 With a team of highly skilled professional engineers who have gained extensive knowledge and expertise from over 25 years of industrial experience in heat transfer applications, H&C is in a strong position to design and implement comprehensive solutions to meet all of our clients’ heat transfer needs. we can work with you to develop and implement a solution.